Proud Guinness world record for Krakow restaurant. KRAKOW TOURS – So Poland is now the proud holder of a new Guinness world record. Chefs from Pizzeria Magillo with the help of Makro Cash and Carry have manged to smash the old record for the longest pizza in the world. The old record of 407m held by chefs in Tuscany was shattered thanks to the 1,100m pizza created over the weekend on the Blonia. They used three and a half tonnes of flour, 1,500 litres of tomato sauce and 1,600 kilos of mozzarella cheese in making the massive pizza, which to me looked more like a Zapiekanki than a pizza. Polish vodka drinkers, a dying breed? KRAKOW TOURS – One-in-five Poles say their favoured alcoholic drink is a glass of wine, with vodka continuing to decline in popularity. Twenty one percent told CBOS pollsters that they prefer wine, with just 17 percent pointing to vodka as their drink of choice, a decline of seven percent in three years since a similar survey was taken. Wine remains the favourite female tipple (38%) followed by beer (30%) which is also the leading drink for the men (70%). Sixty three percent of Poles say they know someone who drinks too much in their opinion, but a majority claimed that they drank little or average (49 and 47% respectively). Most drink at home (75%). Not one respondent confessed to drinking at work. Twenty two percent of Poles do not drink any alcohol, according to research by the CBOS. Most of the teetotallers are women – 30%. Contrastingly, 84% men admit to drinking alcohol. Overall, more than three quarters of Poles are drinkers, with 11% saying that they drink often. Nonetheless, the number of people abstaining from alcohol has increased by 6 points over the past 13 years. Eight out of ten occasional drinkers are aged under 55 and the most popular alcoholic drink is beer. KRAKOW TOURS – More than 60 pilgrimages are arriving at the Jasna Gora monastery, a Catholic shrine in southern Poland, for the feast of the Virgin Mary of Czestochowa, celebrated on August 26. The pilgrimages number several dozen to several thousand participants. The biggest group, of some 8,000 Catholic faithful from Tarnow, has been on the road for almost a week now. Two thousand people have set out from Lodz. Some pilgrimages have a long tradition of several hundred years, like the 542nd walking pilgrimage from Pabianice in central Poland. During this year’s pilgrimage season, which started on May 30, more than 100,000 people walked to Czestochowa in 157 groups. The tattoo collection at the Department of Forensic Medicine at Jagiellonian University in Krakow, Poland consists of 60 objects preserved in formaldehyde, a method devised by one of the experts employed by the Department at the turn of 20th century. KRAKOW TOURS – An appeal by the Auschwitz museum against the dropping of charges against two Canadian teachers, who were caught red-handed in June while trying to steal “mementoes” from German Nazi death camp, will be heard this week. Even though the two men were caught red-handed, the Prosecutor’s Office in Oswiecim dropped the case, claiming that it was petty theft, which did not affect the national heritage of Poland. “The museum’s guards found two metal railway pins wrapped in paper in the men’s rucksacks. The pins are a part of the historic train track, where camp prisoners were selected and some directed to gas chambers,” says Piotr Cywinski, head of the Auschwitz-Birkenau National Museum. “I was shocked when I read [the case had been dismissed]. Does that mean that each of over one million visitors who annually come to Auschwitz can take a souvenir from the camp with them? A brick from a crematorium or a piece of a barbed wire? The Prosecutor’s Office and police are permitting the looting of the camp,” complains Cywinski. Auschwitz-Birkenau is on the list of UNESCO World Heritage Sites and the entire 200-ha area is regarded as a mass grave site. “If police and the Prosecutor’s Office prosecuted the Auschwitz gate sign thieves, why don’t they charge these Canadian teachers, who admitted they intended to commit a theft?” asks Cywinski. Prosecutors say the two crimes are not comparable, however. “There’s a difference between masterminding the “Arbeit Macht Frei” sign theft and picking up two pieces of metal from the ground,” Mariusz Slomka from the Prosecutor’s Office in Oswiecim told the Dziennik Polski. On 19 August, the Court in Oswiecim will consider an appeal against the discontinuation of the case, filed by the Auschwitz-Birkenau Museum. KRAKOW TOURS – Majdanek, a former Nazi concentration camp located near Lublin in eastern Poland, caught fire Monday night, destroying many of the wooden structures and as many as 10,000 pairs of shoes belong to victims who died at the camp, officials said Tuesday. The fire started in one of the L-shaped barracks and was noticed by a security guard when he saw smoke coming from the structure as he was making his rounds. The fire department was called promptly but the wooden camp did not have much of a chance. Sixteen fire brigades came to the rescue, numbering 48 firefighters, but it took seven hours to contain the fire, which spread quickly and furiously over the camp. The source of the fire, which brought an estimated one million złoty in damages, is yet unknown and, although speculations of faulty wiring and premeditated arson have not yet been completely eliminated, they seem unlikely to have been the cause. Some more great photo’s, this time taken by Richard Brooks, some of which whilst on tours with KRAKOW TOURS. Flash floods in Southern Poland, Krakow Unaffected. KRAKOW TOURS – Flash floods brought on by rains in central Europe and the Baltic have killed at least 15, officials say. The heavy downpour caused Poland’s Miedzianka river to overflow, flooding Bogatynia before swelling the Niesse river. One woman drowned in Bogatynia while a 55-year-old firefighter was swept away when a dyke burst its banks. Another woman drowned in the nearby town of Zgorzelec, across the Niesse from Goerlitz. The Neisse reached its highest recorded level of 7.07 metres (23 feet). “The flood wave hit the town in a few hours. We couldn’t do anything to get ready for that,” the mayor of Goerlitz, Michael Wieler, told German TV. Police said 1,500 people evacuated their homes in Goerlitz as torrents of water rushed through the streets. Further west, near Chemnitz, three Germans were found drowned in the flooded cellar of the building they lived in in Neukirchen, near the Czech border. Police said they had been trying to carry furniture upstairs. An additional five people drowned over the weekend in the Czech Republic where people were plucked by helicopter from the roofs of their homes in the towns of Chrastava and Frydlant. As the storms moved north, four people were killed in Lithuania. Two campers died when a tree collapsed on their tent, local media reported. The same region was hit by heavy flooding in May and June this year, killing nearly 30 people. Poland’s Prime Minister Donald Tusk has promised emergency aid payouts to help people affected by the floods. Komorowski sworn in as Polish President. KRAKOW TOURS – Bronislaw Komorowski has been sworn in as Poland’s new president, a month after his election victory. Mr Komorowski defeated Jaroslaw Kaczynski, the twin brother of the late President Lech Kaczynski, who was killed in a plane crash in April. He will be the fourth president since the fall of communism, and wants closer relations with Germany and Russia. Correspondents say Mr Komorowski is seen as someone who will lead Poland into a period of political stability. Under the constitution, the president has power of veto and the right to make key nominations. But most executive power rests with the cabinet. Mr Komorowski took the oath of office in front of MPs in the Polish parliament in the capital, Warsaw. The 55-year-old father of five, who comes from an aristocratic family, became the fourth president since democracy was restored 20 years ago. A social conservative, he ran as the candidate of the centre-right governing party, Civic Platform, which supports the free market and is pro-European. He won July’s run-off election against Mr Kaczynski, the leader of the conservative Law and Justice Party, by a smaller margin than had been expected – 53% to 47%. Mr Komorowski is unlikely to use his power of veto over legislation very frequently during his five-year term, something his predecessor did. With a like-minded president and government, Poland appears to be entering a relatively rare period of political stability. Some fantastic photographs here of the area in and around the Liban Quarry, site of one of the working quarries used by the nazi’s for the prisoners from the nearby work camp of Płaszów. And used during the filming of Shindlers List as a mock up of the Płaszów camp. Krakow Tours’ Schindlers Steps walk takes you through this area and includes many other interesting sites from Schindlers time in the area seen and locations used in Spielberg’s film. Teetotal weddings in Poland ??? 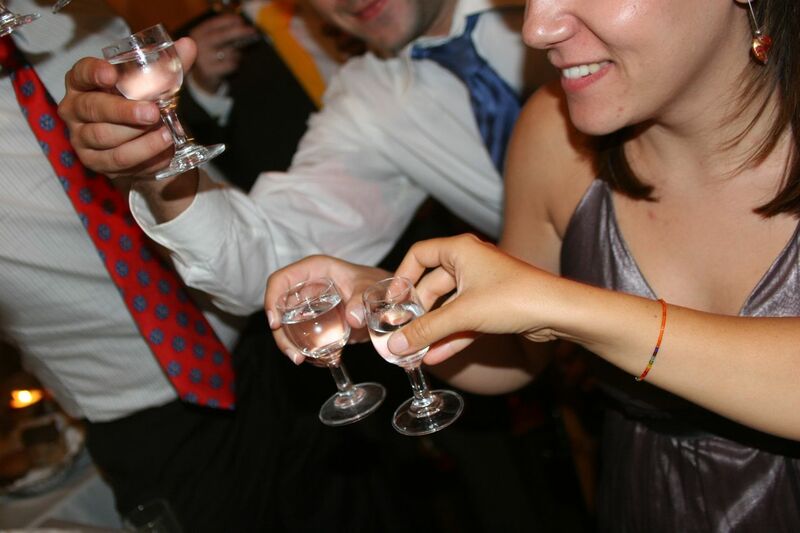 KRAKOW TOURS – A traditional Polish wedding party includes a free flow of alcohol. But there is an increasing trend in Poland of newly weds deciding to have alcohol free wedding receptions, with one-in-ten being teetotal. In 1986, Archbishop of Krakow Franciszek Macharski wrote a letter in which he condemned drunkenness at weddings calling it “a plague”. In response, Priest Wladyslaw Zazel from the south-eastern region of Podbeskidzie asked his parishioners to stop stocking vodka or other alcoholic beverages at weddings and funerals. The priest also came up with the idea to encourage people to stay sober during important family events. He created a Book of Non-Alcoholic Weddings, which bares the names of newly weds who decided to organize a wedding reception without alcohol. And the practice seems to be catching on. In 2009, every tenth wedding in Poland was alcohol free, reports Dziennik Polski. Two famous Polish folk musicians from the Golec brothers band are included on the list containing 300 names. Those who declare that they will organize a non-alcoholic wedding need to pay a deposit and if they fail to fulfill the promise they lose money to the benefit of the church. On the other hand, if they keep the promise the priest pays them twice the deposit. KRAKOW TOURS – The small Polish town of Oswiecim (Auschwitz in German) has long felt that it suffered from association with the horror of the nearby Nazi death camp, but some residents hope the town can begin to be seen in a more positive light. The tourist information officer looked sceptical at first, then delighted. She rummaged in a drawer – clearly one she did not open that often – and pulled out a brochure. There were, she ruefully admitted, very few visitors to this place interested in anything beyond the Auschwitz museum. After I had made my own visit, I headed away from the crowds into the elegant old town centre. A modest cafe or two were open, old men sat in the tree-lined square feeding the birds, shoppers ambled around in a scene you would find in any small Polish town. No signs in any foreign language, nowhere selling souvenirs. While more than a million people arrive up the road at the museum every year, in the town centre there is no hint of it being a tourist destination. And this bizarre divide has caused considerable tension. Although the museum provides some jobs for locals, others complain about costs incurred in providing, say, parking space for visitors who bring the town little in return. There have been rows when planning permission for the museum’s expansion has been rejected by local authorities. And resentment goes deeper than that. Some people feel tainted by the terrible history looming over this place. It is hard growing up somewhere the rest of the world sees as the symbol of evil. 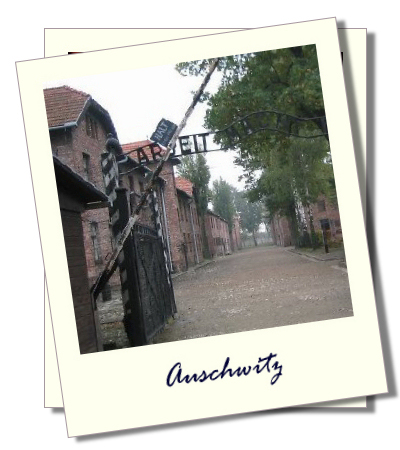 Some visitors to Auschwitz make a point of shunning the town, not wishing to linger. They cannot understand, they say, how anyone could still live here. The reaction from many local people has been to turn their backs on history. All this was encouraged by Polish Communist rule, keen to suppress Jewish history in particular. Oswiecim’s former synagogue was used in Communist times as a carpet warehouse, until a British academic, Jonathan Webber, discovered it in the 1980s. As Judaism was then so taboo, he recalls, he had to pretend he was looking for an Armenian church. He paid the warehouse workers a few dollars to carry away the stacks of carpets and reveal Hebrew inscriptions on the walls. That former synagogue is now a Jewish centre. On the staff is Artur Szyndler, who grew up in Oswiecim under Communism. He told me that all the time he was at school, a mile or two from the Auschwitz site, he never once heard the word Holocaust. But after the end of Communist rule, he studied Jewish history at university, as a growing number of young Poles now do. Pointing to old maps on the walls of the centre, he explained how Oswiecim had had a Jewish majority before the war. With its location at a well-connected meeting point of countries and peoples, it was known as a place of unusually good relations between faiths, and for tolerance of refugees. But that location became a curse during Nazi rule, and Oswiecim was chosen as the final destination and place of murder for over a million Jews and many others too, who were deported from all over Europe. Oswiecim’s own Jewish residents were among the victims. There are no Jews living here today, but the centre in the former synagogue has regular visits from Holocaust survivors who were born in the town. It wants to draw visitors from the Auschwitz concentration camp site into Oswiecim to explore the history of the rich society the Nazis destroyed. And the Jewish centre is just one of several places in the town exploring the nature of genocide, and the possibility of reconciliation. At the Centre for Dialogue and Prayer, I came across a man who plays a remarkable symbolic role as the only German living in Oswiecim today. Manfred Deselaers is a Catholic priest with a ready smile but a deeply serious mission. After German reunification in 1990 and much talk of Germany moving on from its past, he decided to settle permanently here. He immersed himself first in its darkest history, studying the claims made by the commandant of Auschwitz, Rudolf Hoess, that he was a Christian believer. Today Father Deselaers runs courses bringing former Auschwitz prisoners – Catholic and Jewish – together with young Poles and Germans. Sometimes even the descendants of Germans who worked at the death camp are there. Given this kind of encounter, he tells me, Oswiecim-Auschwitz can be a place with a “remarkable positive power, which is strange but it’s here”. “It’s important that people are not simply overwhelmed, but see something good,” he says. “That Hitler does not have the last word about this place”. It will never be straightforward for Oswiecim to emerge from the shadow of Auschwitz. The reconciliation work is a start, drawing on memories of the town’s brighter history before the Nazis arrived. It is seen as offering a kind of map – like the map I found buried in the tourist information office – showing a way towards a more positive future for a town still trapped in the most terrible of pasts.